You may experiences unexpected or profound changes in your life. There may be abrupt changes in job/career, friends, hobbies, interests, or living environments, or a sudden feeling of wanting to relocate or being drawn to a particular area. You may begin to resonate with certain geographical locations or a desire to travel in general. You may stop resonating with things you once enjoyed and begin to develop and pursue new hobbies, interests and friends that are more a match to your current vibration. You may stop relating to your family in the same way as in the past, and you may seek more meaningful relationships in your life. You may begin to feel bored or restless with your current life situation. 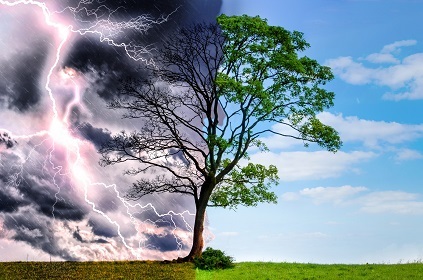 The deepest level of your being/your highest self may desire these changes to occur, but any energy blocks or unresolved emotional issues or old outworn mental beliefs may cause the ego to resist or fear these changes, thus prevent forward growth and resulting in you to feel 'stuck' or overwhelmed. Change will be inviteable and you can go with the flow gracefully and experience these changes gradually, or fears and resistance may cause these changes to occur more abrupty and traumatically in order to assist you in re-focusing your attention or to steer you in the right direction, forcing you to release any fears or blocks in a more dramatic way.